We supply eucalyptus leaves. 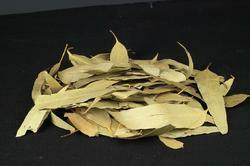 Eucalyptus leaves and eucalyptus leaf oil, which are extensively used to prepare eucalyptus oil and medicines. These leaves are known for bitter and astringent taste, thermogenic, oleaginous, antiseptic, carminative, digestive, anthelmintic, cardiotonic, diuretic, expectorant, insect repellant properties. Dear Buyer, Greetings.Thanks for your interest in buying the organically grown Eucalyptus leaves from our farm. Eucalyptus is a tree. The dried leaves and oil are used to make medicine. Though eucalyptus is used medicinally for many purposes, there isn’t enough scientific evidence so far to rate it as effective for any of them. Supply eucalyptus wood & leaves in any qulity /size any quantity as per your requirement. We are engaged in providing a wide range of Eucalyptus Leaves to our clients. we are one of the reliable companies in this domain and are into offering Eucalyptus Leaves. It arrests bleeding and fastens the wound healing process. 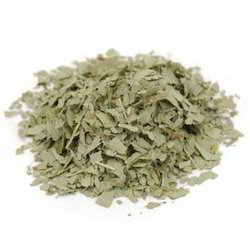 It is mainly used in herbal preparations for gynecological disorders. It has been said to have medicinal properties to cure skin diseases. We are offering Eucalyptus Leaves to our client.